Bolivia has the largest cache of one of the world's most important metals. An estimated 9 million tons of lithium sits untapped in the South American country. Tech companies need it for their devices, and chances are you're reading this story on a laptop or smartphone that's powered by a lithium-ion battery. So why is Chile, not Bolivia, dominating the South American lithium market? "Chile is the gold standard for the lithium operation," said Brian Jaskula, a mineral specialist for the US Geological Survey. Last year Chile, which has about 8.4 million tons of lithium reserves, processed 14,100 tons of the white metal along salt flats at the foot of the Andes mountains. Bolivia processed less than 1% of that. The disparity in processing is partly because of Chile's natural advantages. But it also has a lot to do with Bolivia's politics. Lithium is found in brine, or pools of salty water. After the brine is removed from the ground, lithium must be extracted using a lengthy evaporation method, during which impurities are removed. Chile's climate is optimal for evaporation. Sunlight there is intense, and the altitude is perfect, said Jaskula. A nearly constant hot wind blows across evaporation ponds. 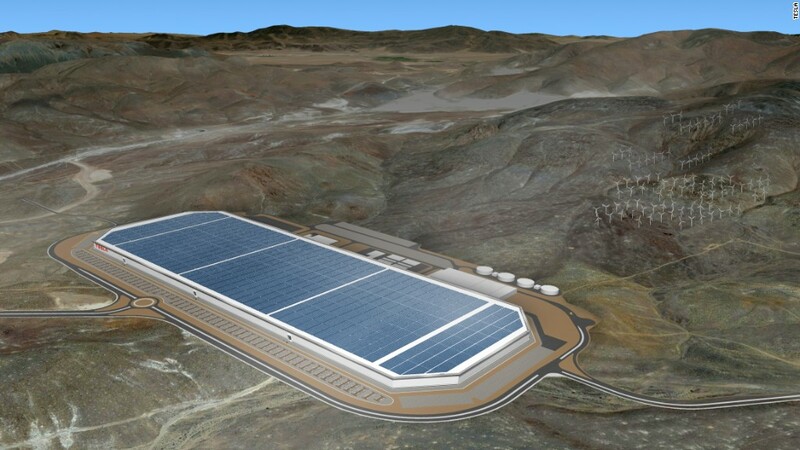 And Chile's coastal location and existing infrastructure means transporting the lithium -- and batteries made from it -- is a relatively uncomplicated task. Bolivia is not blessed with the same conditions. Its extensive rainy season prolongs evaporation. Its brine has more impurities -- mainly in the form of hard-to-shake magnesium, and that extends the process beyond the approximately two years needed in Chile. It also makes it more expensive. The country is also landlocked and with poorer infrastructure. Its products must go through Chile or Argentina to reach a port. But the more significant holdback for Bolivia's lithium industry is the political climate. President Evo Morales is eager to tap into the country's natural resources, but with an important caveat: Bolivia must get the lion's share of economic benefit. . The country is haunted by its past of being exploited by foreign investors and not gaining from it, said Dr. Anna Revette, a sociologist and author of a study on lithium extraction and cultural politics in Bolivia. Mineral extraction has long been the essence of the Bolivian economy. The psychological scar of exploitation dates well back to the 17th century, when Spanish settlers profited from silver mined by natives and African slaves in the once resource rich city of Potosí. "No longer do they want foreign exploitations to dominate their natural resources," she said. "There's a drive to have ownership -- to prove that Bolivia has the ability." Bolivia wants to make batteries from soup to nuts. Its even expressed a desire to make electric cars. "It wants to put together an entire production chain, in which Bolivia has a stake," said Robert Albro, a research associate professor at the Center for Latin American and Latino Studies at American University. The prospect of Bolivia competing in battery production may be far-fetched, according to both Albro and Revette. It lacks the technical expertise to make them, and its been hesitant to ask for too much help. It appears the country is willing to work with certain nations, but is picky. "Morales is trying to work with the global south, to show they're sticking together," said Revette. In July, Bolivia signed a preferential trade agreement with India for use of its resources. Last year it exported its first shipment of lithium carbonate to China. This year, Bolivia surprised some analysts when it entered into a $1.3 billion deal with German company ACI for extraction and the manufacturing and marketing of batteries. ACI said it will give Bolivia a 51% share of revenue, and build a manufacturing plant in in the country. The conditions seem to suit Bolivia's desire to remain at the heart of its economic gains. "I'd be surprised if this went forward, but it's not impossible," she said citing previous agreements between Bolivia and Japan, Bolivia and South Korea, and Bolivia and France that never materialized. "It seems history may just repeat itself." Meanwhile, Chile's political predictability and economic stability makes it a more attractive option for foreign companies, said Rebecca Keller, senior science and technology analyst at geopolitical intelligence platform, Stratfor. "Chile is in the best position for the next five years," Keller said.